Ayon Group has came up with its new	venture known as “AYON VISITOR BOOK, it is a digitized system which provides you to secure your premises through a modern technique. 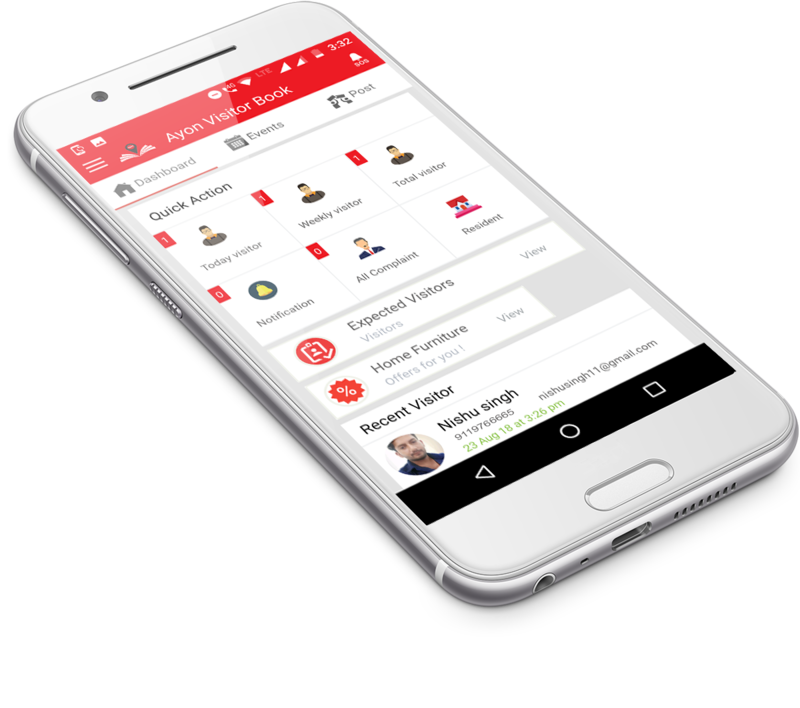 It’s a cloud based software and App, which work in an Eco friendly manner as with the help of it every single data could be maintained without involving too much papers and manual entries. Our company has build up a team, who looks at the things very differently and try to incorporate it in their working which will enhance the quality of our business. Our teamwork enthusiasm and much effort along with a modern technology initiate them to think about the need for security and enhanced service & convenience level, which has led to the rapid emergence of “AYON VISITOR BOOK”. Resident has the authority to view full details of the visitors and able to approve or deny their entries. Resident is enabled to generate a QR code for the expected visitor, making a hustle free entry for visitors. They can enjoy posting on the App, which would be shared among other residents and they can like or comment on the posts. The resident if found them in a trouble at anywhere they can press a SOS button which immediately sends a notification to dear ones and security guard. It makes the visiting entry so easy for Security Guards as all the visitors entries are maintained online with no paper works. They can do vehicle management very easily which are parked at unauthorized places. RFID Barrier Entry (radio frequency identification) It automatically opens the barrier as and when your vehicle enters and exits at gate and sent a notification to the resident for the same. They are aware of all the visitors check in & check out times by viewing online via app. They can easily manage the entries of employees working inside the premises. They have the access to the owners directly as they don’t need to do it manually and wait for long. They can exit the premises by using the exit code already sent by the resident. They can easily park their vehicles inside the premises. The expected visitor can use QR code for as much days as permitted by resident and they don’t need to do entry again. They can view history of the visitors on weekly, monthly & annual basis. They have the authority to enter the updates regarding an events happened or already happened. They can receive the payments online via the app from residents. They can manage the details and attendance of the staffs with the help of the app. 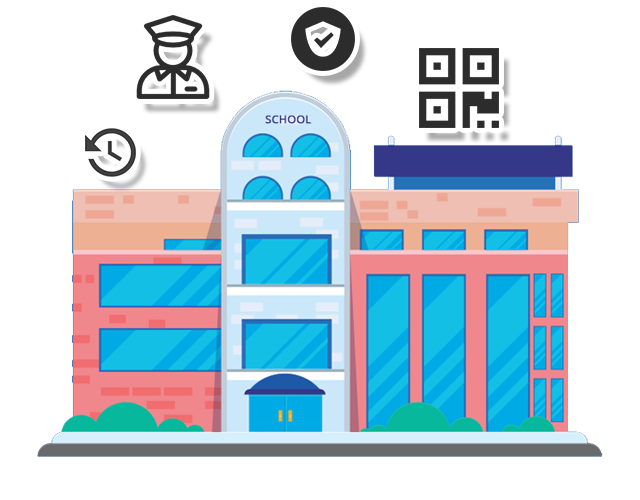 Every school wants to keep its students safe but it can be challenging to keep track of each parent, visitor, or maintenance worker who enters the building. 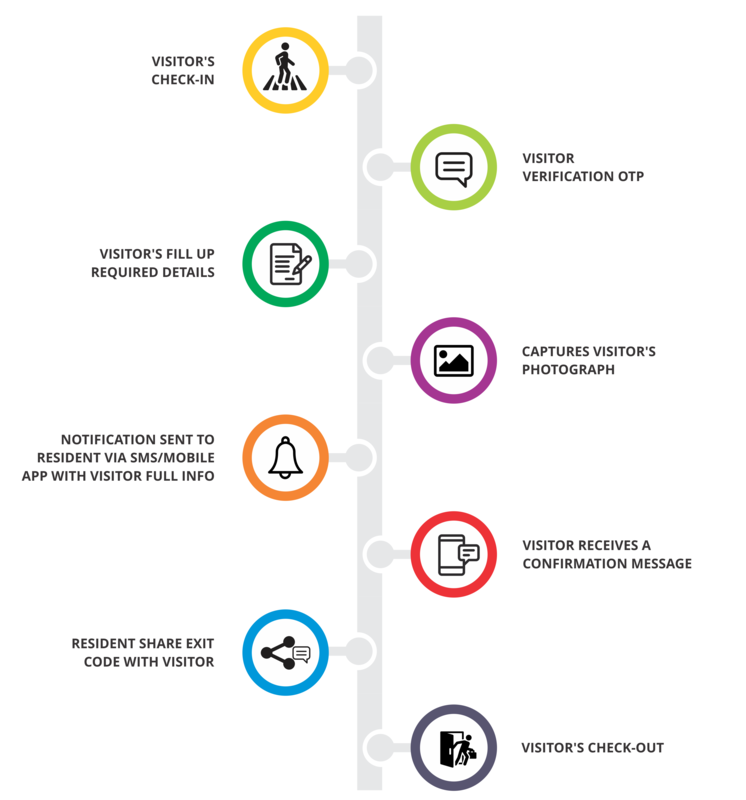 Our Ayon visitor book streamlines the visitor management process through the use of visitor passes, thereby relieving much of the stress of front office staff. The school management can review the history of their visitors and can also find out the peak hours when footfall in school increases. The staff management can be done easily as attendance is maintained via QR code. Security of the children’s leaving early or coming late is maintained in the database for future references. Physical entries made by guard are waived as everything is maintained online. Find the perfect plan — 100% satisfaction guaranteed. Ayon Technovision Pvt Ltd. is committed to protecting and respecting your privacy. This policy explains how we use any personal information that you provide to us through our website, app. Please read it carefully. We may change this policy. We will post any changes on this page, so please check back frequently. You may provide us with information in several ways, including by filling in forms on our websites or on our apps or by corresponding with us by phone, email.This includes information you provide when you register for an account or subscribe, contact our team available on our websites or apps. Asking about the pricing policy according to the features. Providing you and others with information about goods and services that we offer that may interest you or them, which may be based on inferences about your or their likely interests based on your activity on websites. Customizing or enhancing your experience of our services, which may use inferences about your likely interests based on your activity on websites operated by ZPG Companies or third parties. Delivering relevant advertising to you on websites which may use inferences about your likely interests based on your activity on websites. The below terms & conditions are applicable to all Users of the Ayon visitor book website/ App/gate keeper App /Admin App and any other digital contents associated with Ayon visitor book under Ayon technovision Pvt.Ltd. 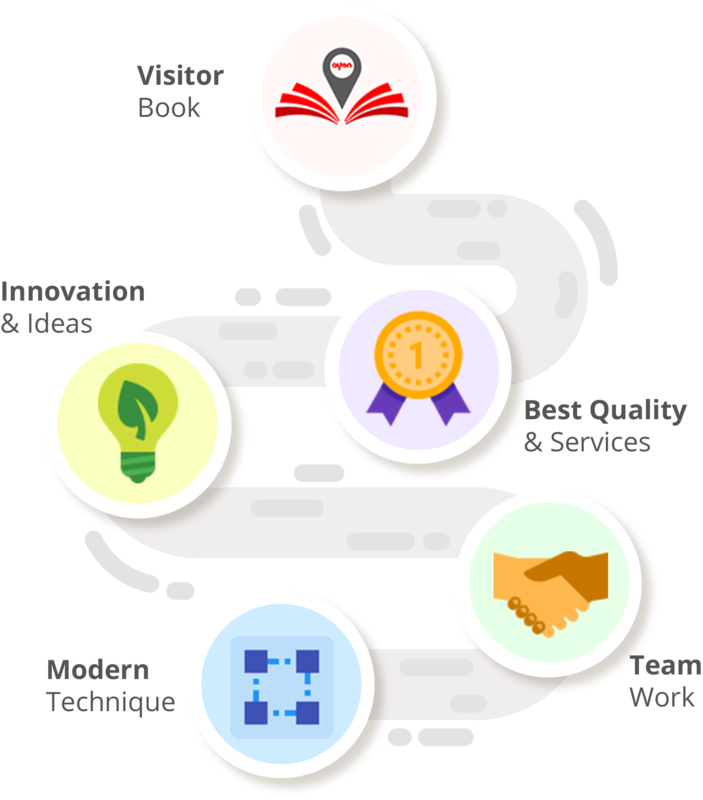 "Ayon Technovision Pvt.Ltd", "We" represent the "Service Provider/ company" and are interchangeable. It also represents any subsidiary company of Ayon Technovision Pvt. Ltd.
"Products" refers to all offerings of Ayon technovision Pvt.Ltd, that are SaaS (Software as a Service) Products including but not limited to the Portals: Ayon visitor book.com, App/gate keeper App /Admin App and any other digital contents associated with Ayon visitor book under Ayon technovision Pvt.Ltd. "You" addresses the user - individual / groups / communities reading and agreeing to these Terms & conditions. "Apartments, unit, societies or gated communities can mean a Villa Complex or an Apartment Complex or a Commercial Complex. It can also imply any such institutions of Users benefiting the Products. Subscription Term: Period for which Subscription Payment has been made. Please make sure you read through this carefully. Using the product in any manner confirms that you agree to the terms and conditions provided by the company. You hereby agree that all information that uploaded (such as images, files, audio or video contents, written text or any other media ) or which you may have accessed as part of, or through your use of the Products of Ayon Technovision Pvt.Ltd are the sole responsible from which such content originated. The company takes no responsibility for abusive content, and it is the responsibility of the users to regulate such content. Ayon Technovision Pvt.Ltd takes no responsibility for any data captured in Ayon visitor book and published or distributed outside by any User having access to such Data. User has a limited, revocable, nontransferable, non exclusive right for it and its authorized number of users to access and use of service from and at one physical address during the subscription term solely for customer internal purpose. User is responsible for all the activities that occur with respect to accounts, accessibility in violation of any applicable law or regulation or in a manner that will infringe the copyright, trademark, or intellectual property rights or any other personal rights of others. User agree not to reproduce, duplicate, copy, sell, resell or exploit for any commercial purposes, any portion of the Products, use of the Products, or access to the Products. You also agree not to rent, sell, distribute, loan or modify or create derivative works based on the Products, in whole or in part. You are subjected not to extract the code or reverse-engineer it in anyway. Any attempt at hacking or unlawful use of the Products can and will invite the maximum prosecution allowable under the law. Use of these services may be available through a compatible mobile device suing internet access and may require software. It will be a sole responsibility of yours for these requirements. The company shall not be responsible for actions of information sharing by the direct customer. The direct customer shall be solely responsible and liable for obtaining the requisite permissions from its residents to share their respective information with the company. The company do not take any kind of responsibility of any inappropriate contents that are uploaded, content posted or stored through your use of service. In the event of any breach, an agreement done between the parties shall be void and suspend your access to the platform, with or without prior notice, and without liability. It will only comply if that particular breach is cured. The Subscription term commences on the date on which users receives access to the service. It will be for half yearly or annually and for renewal of the subscription term of successive period will only be processed after receiving a prior consent for the same in writing. The agreement may only be terminated by either party, if either party breaches a material term or if other party becomes insolvent or due to any other reason. Both the parties will have to serve 15 days notice in order to extract the data during that period. It is important to note that the notice period has to be within the subscription paid duration. After the said notice period, the service provider shall have no obligation to maintain, provide any of the user’s data. Upon non-payment of Subscription Dues within the Subscription Invoice Due Date, the Subscription is considered terminated and Access to the product is discontinued for the Customer.